The Youth Orchestra of the Southern Finger Lakes, conducted by OSFL concertmaster Augusto Diemecke, is an ensemble of the finest young musicians in our region. It provides advanced challenges and opportunities for young people who are enthusiastic about music. The Junior String Ensemble, conducted by OSFL violinist Gary Chollet, encourages the development of young string players. It fosters early musical development and serves as a feeder program for the Youth Orchestra of the Southern Finger Lakes. Youth Orchestra & Junior String Ensemble concerts are free. Donations are welcome and help to support the educational programs and the activities of the Youth Ensembles. 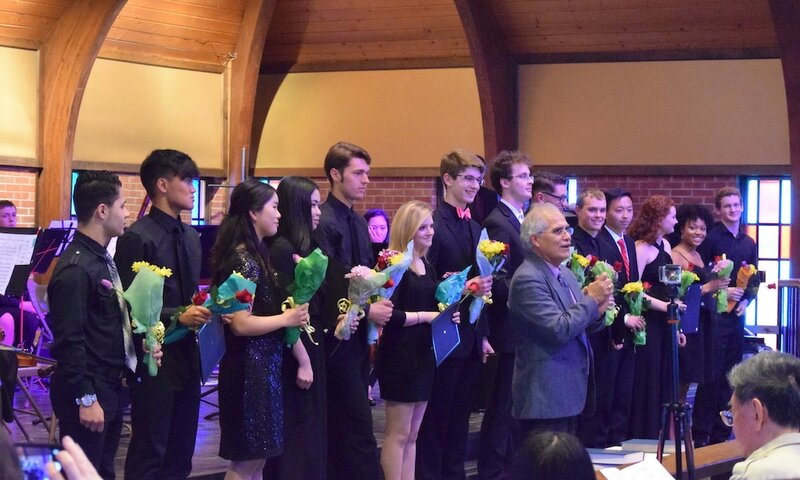 Congratulations to the graduating seniors of the Youth Orchestra. Your musicianship, leadership and friendship will be missed!